I was in the lovely Little Bookshop in Leeds today and I noticed that they had a display filled with books about engineering and coding for kids. Lovely stuff. I’ve bought a couple of books from the shop, and I thought I’d mention them in ye olde blogge. I’ve put these in the blog post as Amazon items because I’m lazy and its easy to do (which is, in a nutshell why I use Amazon) but what I really want to you to do is go to Leeds, visit the bookshop and buy them there. There’s something really nice about browsing through interesting books in a pleasant environment (and they do great coffee and their Rocky Road cake is fantastic). This is a beautifully presented book and makes lots of really good points about the what software development really is. 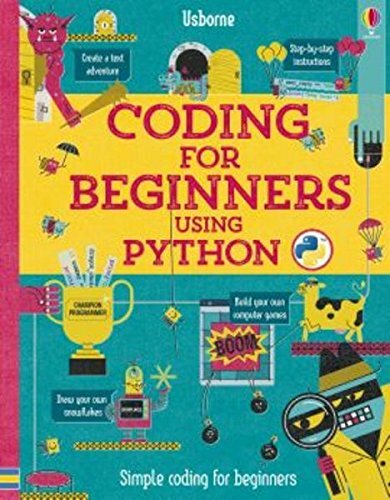 For my money it would have benefited slightly from a bit more detail about some of the topics covered, and a bit more programming context for each, but is a very pleasant read and as useful for grown-ups as it is for kids. This is another beautifully presented book, but in this one the focus is on writing code. The text uses the tried and trusted technique of creating interesting applications and learning about code as you do that. It’s done very well, there’s great use of colour and layout to explain what the various code elements do. The programs as presented are great fun and could be the basis of even more interesting bits of code. It would be great to see a follow on text that built on what was described here. Both of these books complement each other well and are pocket money priced (at least I think they are). 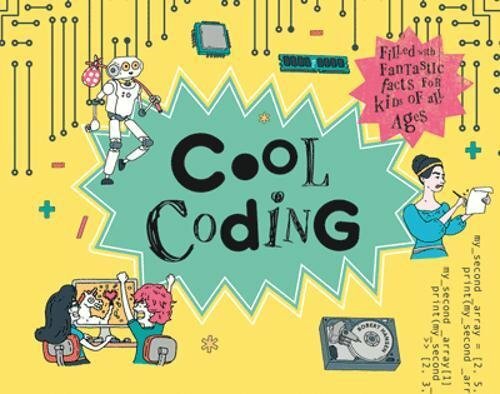 They would make great additions to the bookshelf of any kid (or adult) that wanted to dip their toes into coding or at least know a bit about what it is that computers actually do. I must admit that I've never really thought of a place like Hull as having architecture. It's just got lots of nice buildings. However, I've found out a lot more about the area from this book, which even told me who designed the place I'd spent nearly 40 years of my life working in at the university. This version was published in 2010, which means that it was just in time to be able to give the low down on places like The Deep. 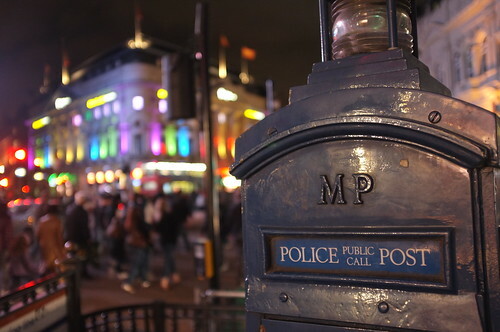 It's a great reference and even has guided walks around the city. If you're coming to Hull for something City of Culture related, and you want a well written, well researched and good to read guide to where we live then it is well worth a look. I don't have many claims to fame. But one is that I once had my picture taken by Alexey Pajitnov, the inventor of Tetris and thoroughly nice man. It was when I was helping out with Imagine Cup Judging in Russia. Alexey and myself were alone in the judging room and I was trying to pluck up the courage to ask him for a picture. Then a student came in, took one look at me and asked "Can I have a picture with you?". He was one of the competitors, another thoroughly nice chap, and he wanted a picture of himself with one of the judges (i.e. me). He asked Alexey to take the shot, and Alexey obliged. I never got a picture of me with the man who invented Tetris, but having my picture taken by him seems somehow better. Anyhoo, I was reminded of this when I came across this awesome book by Box Brown. 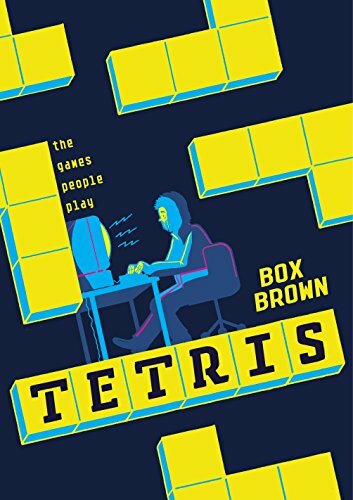 The story of Tetris is fascinating on a whole bunch of levels, and the presentation in beautifully drawn pictures does a great job of telling the tale. If you like video games, social history, business shenanigans or well drawn art, you should get this book. Harry Harrison was one of the greatest science fiction writers you've probably never heard of. He wrote a whole bunch of fantastic stories including the Stainless Steel Rat series and my favourite, "The Technicolor Time Machine" (go find it - you'll thank me later). He was particularly good at the science fiction short story. If you fancy finding out more about his work there's a really good value pack of his stories available on Amazon. For less than a pound you get a whole bunch of content including two of his Deathworld stories. One of my favourite books ever has won a prize. I blogged about it a while back and now it (or more properly the author, Sydney Padua) has won the British Society for the History of Mathematics 2015 Neuman Prize. Yay! If you are into computing, history, maths or comics you should have this book. A perfect stocking filler for Christmas, if you are in the habit of wearing quite large, book sized, stockings. It really is a great book. In fact, I'm going off to have a read of my copy now. For the past few weeks I've been working my way through "The Innovators: How a Group of Inventors, Hackers, Geniuses and Geeks Created the Digital Revolution" by Walter Isaacson. It's a great history of computing, all the way from the letters of Ada Lovelace to the spelling mistake that made Google what it is today. 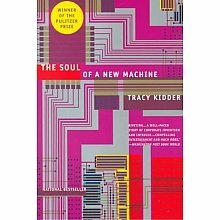 If "The Thrilling Adventures of Lovelace and Babbage" have whetted your appetite for a book that gives the full story of the machines that underpin so much of our lives you should read this book. Well written and well referenced, with some great background material. If you have just got an Intel Galileo you might find this book interesting. It tells you how to get started with the device and gives a good overview of the Arduino technology on which the Galileo is based. To be honest, if you are experienced with the Arduino you will probably already know the majority of the content, but I reckon that there is enough Galileo specific content to make it worth the relatively modest asking price. It's also kind of useful to have all the content in one place. Each feature of the Galileo is well explained and there is also some useful background on the Intel aspects of the device. Note that this book is written for a Galileo configured as an Arduino based platform and does not cover the use of the device as part of the Microsoft Internet of Things initiative. Last week in Whitby I bought a little two player game (there are some good game shops in Whitby - and a good sweet shop or two..). Anyway, this weekend we got around to playing it. The game is called MijnLeiff, a word my spelling checker doesn't know. Players take it in turns to put tiles down on a board with the aim of making rows of three or more of their own colour. What makes it more interesting is that the piece that you put down dictates where on the board your opponent can make their next move. And with a limited number of different pieces for each player it gets very, very, tactical towards the endgame. If you like games which are easy to pick up, quick to play and somewhat strategic, you will like this one. Steve Jobs was not a particularly nice person by all accounts. I’ve never had much time for folks who are horrible to other people and then claim they do this “just because they are that way”. But he did make a lot of things. I’ve been working my way through his biography over the last few weeks and it is fascinating. For me the best bits are at the beginning, when he and Steve Wozniak rode the personal computer wave and built a huge company from nothing. Towards the end the story turns into a succession of product meetings and multi-million dollar deals but it is a great read nonetheless. Computing is currently a bit fashionable, which is nice because there are loads of magazines of all flavours out there. And quite often a magazine will lump together a bunch of articles from previous issues and make a kind of “Greatest Hits” compilation. Linux Format has just done that and produced an edition it calls “Coding Academy 2013”. It seems a bit expensive at 12.99 for what looks like a magazine, but when you consider that there are no advertisements it starts to look better value. There are introductions to Python, Ruby on Rails, Haskell, Scheme and Lisp along with features on Android development. It is all pretty well written, with examples and links to sample code. If you have C# skills and are looking to find out the meaning behind some of the other words you hear bandied about when people talk computers you could do a lot worse than take a look. If you are complete beginner you might find the range of information a bit wide, but remember that you only have to learn one of these languages at a time. I found my copy in the local newsagents, you can buy it online here. Read. This. Book. It is not about computers (at least so far, I’m just past half way through). It is about medicine, race and human nature. Anyone proposing a work of fiction that followed the story in this book would be dismissed as being fanciful and having ideas that were just too far fetched. And yet it is all true. It tells the story of how the death of one woman led to the establishment of a whole branch of science. It will also tell you how cells work, how they go wrong and how we found out about a lot of this, just because of Henrietta Lacks. You can track down a copy from here. It is also available for Kindle at a very good price. As well as the Pacific Rim book (Pacific Rim? Sunday’s Post. You mean you’ve not been to see the movie yet. Shame) I also got a collection of Century 21 comic strips. We used to get TV21 magazine every week, and after dad had finished reading it I was allowed to take a look. Anhyoo, the Thunderbirds strips were always the best. They were illustrated by Frank Bellamy who was the only one who seemed to be allowed to put his name on the strip. With good cause. I still reckon this was some of the best comic art ever. Don’t believe me? Grab a copy of the book and take a look. There are actually only a couple of Thunderbirds strips in the book, but the other ones are a good bunch too. When I was a kid in the sixties (yes I am very old) a must view TV program was Thunderbirds. We first watched it on our old black and white telly which took ages to warm up. It wasn’t until we saw some magazines pictures that we actually found out the colours of the Thunderbird craft. I’ve never really understood why Thunderbird 2 is green, but I digress. The franchise has been round a few times since, with a major revival in the nineties. (At this point I shall gloss over the awful film from 2004). Anyhoo, one of my birthday presents was a copy of the Hayes Thunderbirds Manual, which gives a detailed breakdown of the International Rescue organisation and their craft. I like this as much now as I would have done nearly fifty years ago. At first I thought it was a reprint of magazine articles of the time, but there is a lot more to it than that. The authors have made use of the wealth of resources gathered by Thunderbirds aficionados over the years and put them together into a very comprehensive and will written exposition of the Thunderbirds universe. There is even an episode guide right at the end of the book. If you have any interest in this fantastic series, then it is well worth a look. If you are looking for a bit of escapist Science Fiction/Fantasy stuff then take a look at Chris Wooding. I’ve just read the first of his Ketty Jay series and it is a rollicking good fun. If you enjoy Harry Harrison, Blake's Seven, Firefly kind of stuff then you’ll like this. A well written take on the “ship of misfits freebooting around falling into danger and adventure” kind of thing with plenty of action and a quite a few laughs. Riding on the train down to London today I was delighted to find that I can now get Harry Harrrison books for Kindle. Including the “Stainless Steel Rat” and my personal favourite “The Technicolor Time Machine”. 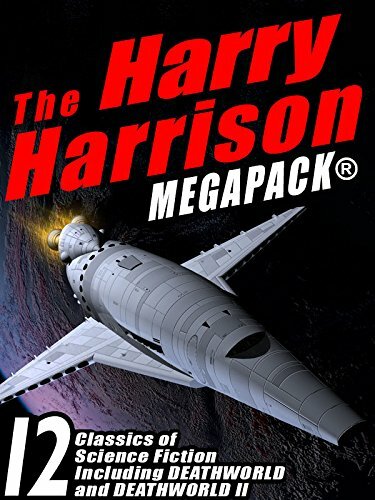 One of the great questions of the age is “Why have no Harry Harrison books been made into films yet?”. His stuff reads like movie scripts in many ways and is just so darned well written and amusing that it really should be on the big screen. If you like fast moving Sci-Fi with a humorous twist then you should get a one of his books and have a read. I’d recommend “The Stainless Steel Rat” for starters. Great fun. I’m trying a new thing where I read more books. I’ve worked out that a book on Kindle is less than the price of a couple of packets of cigarettes. If I read a book in two days (unlikely) this will still cost me less than a tobacco habit. And it is much less likely to kill me. So, today on a whim I downloaded a copy of “The Thank You Economy” after I saw it in Joey deVilla’s blog. I’ve started reading it and it is rather interesting. It makes the point that in a world of connected and savvy consumers, who are going to Tweet, Blog and Facebook any bad customer experiences, a business can’t afford to upset folks in the way that it used to. Furthermore, if you give really good customer experiences you are creating a sales force out of the users of your products. Apple are brilliant at this. I remember being told an awestruck tale of a dropped (and shattered) iPhone which was ‘Just replaced’ in an Apple Store. This is actually very good business sense. The hardware costs Apple very little, they can write the expense off against tax, and if their delighted customer tells ten people the story and a couple of them go Apple rather than Android then it will have paid for itself. A couple of thoughts though. Some people seem just born to complain. I’ve stood behind examples of this genre in queue the Post Office, and I’m sure you have too. These folks have presumably got Twitter and Facebook accounts, so I wonder how this policy works with them. With a bit of luck the book will cover this a bit later on. The other thing I was thinking was how we could apply this to my business, that of education. We work hard at Hull to can give students a great experience, but at the end of the day we also have to give some marks out which will not always be well received. One of the biggest mistakes I’ve ever made was to hand out my teacher assessments after I’d given out the results on a course. Some of the students (who had not actually applied themselves very well and done badly as a consequence) took it upon themselves to deliver payback and the comments were so good they got stuck on the staff room wall for all to enjoy. I’ve not finished the book, but I’m enjoying reading it. Like most good business books it is full of things that make you say “Well Duh!”, but you might not have actually thought of. It is worth a read, and will certainly do you more good than 40 cigarettes. The content is based on articles written by Eric for in-house magazines at Microsoft. The intention was to spark debate about what you should be doing when you try to construct systems out of software, and the best ways to make sure you do it right. If you write code for a living, or are a student learning how to write code for a living, or just want to find out what makes developers go tick (and probably cuckoo as well) then this is a great book to get. Strongly recommended. Spent a very pleasant part of Sunday reading The Amazing Maurice and His Educated Rodents by Terry Pratchett. Absolutely brilliant. If you've not discovered the Diskworld books then good for you, because it means you'll have the pleasure of reading them for the first time. They are written with a lightness of touch, a cleverness and a humanity that nobody else can match. Terry Pratchett was recently diagnosed with an early form of Senile Dementia which doesn't seem to be slowing him down much just yet, thank goodness. He is truly great writer who has not been granted anything like the recognition he richly deserves in spite (or, one wonders perhaps because of) his great popularity with huge numbers of readers.